Austrian architectural firm, Two in a Box Architekten has built a gorgeous elliptical music pavilion out of silver fir. Constructing the oval music pavilion out of timber required a lot of precise detailing - and of course, the fact that it was built using locally-sourced renewable wood brings music to our ears. 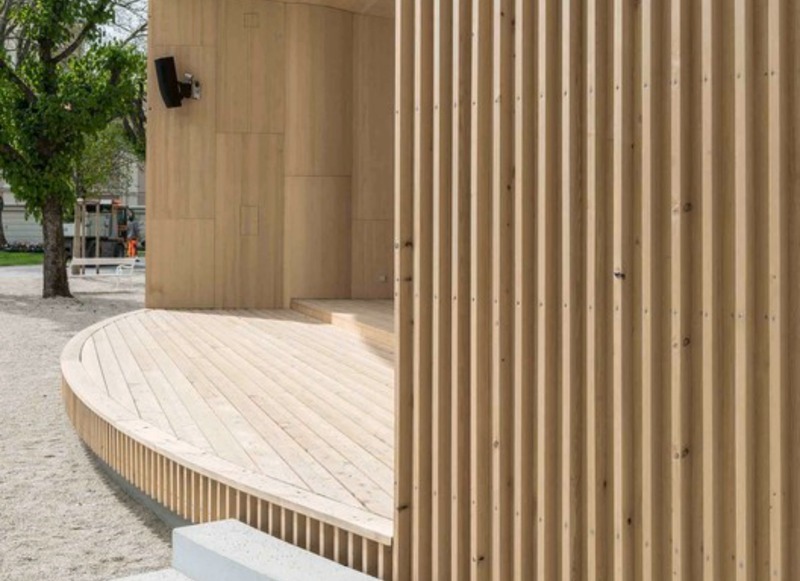 Located a public square in Bad Ischl, Austria, the site’s tranquil location heavily influenced the architects, who wanted to create a pavilion that would compliment the existing urban plan of the peaceful gardens. 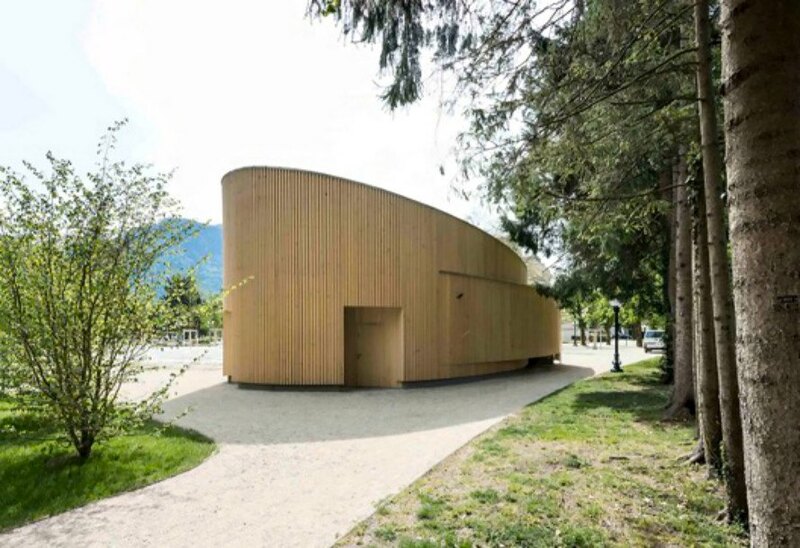 The organic form of the building was inspired first and foremost by nature; the silver fir wood was locally sourced and the coloring gives the building a light, airy feel. Although the base of the building is made out of concrete, it is virtually invisible, giving the building the optimal illusion of floating above the gravel. 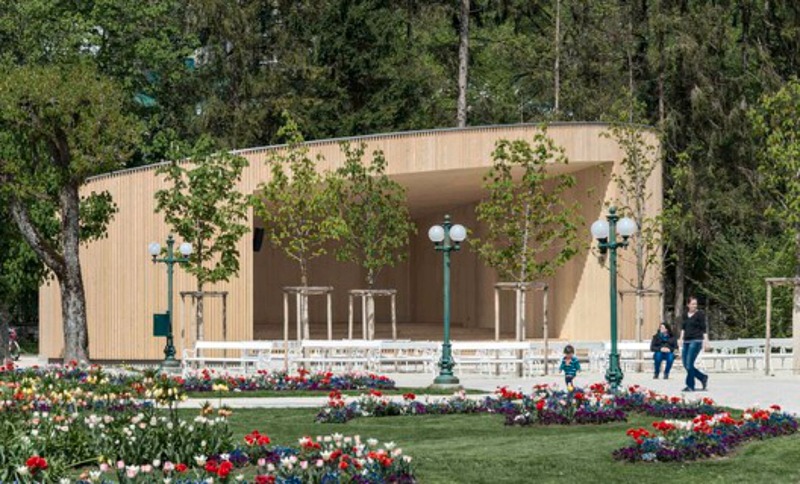 The Music Pavilion is located a public square in Bad Ischl, Austria. The site's tranquil location heavily influenced the architects, who wanted to create a structure that would compliment the existing urban planning of the peaceful gardens. The organic form of The building's design was inspired first and foremost by nature. The silver fir wood was locally sourced and the coloring gives the building a light, airy feel. Although the base of the building is made out of concrete, it is virtually invisible, giving the building the optimal illusion of floating above the gravel. 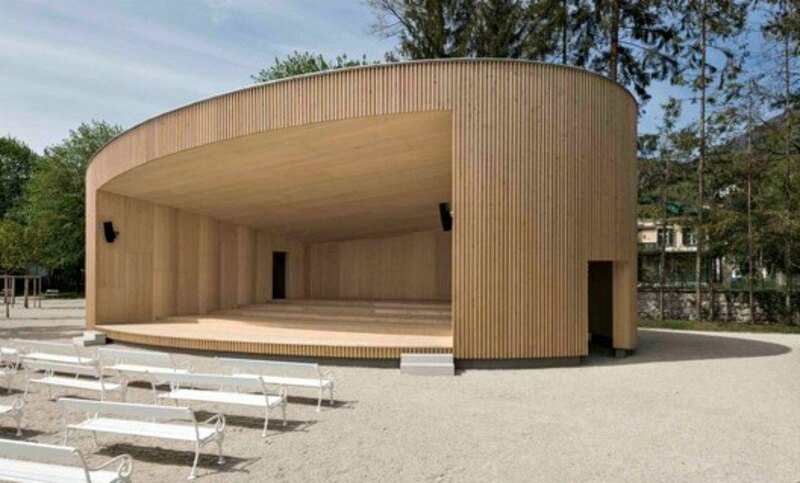 According to architect Andreas Fiereder, using wood for construction is not necessarily the easiest choice of materials.